Alizila sat down recently for a podcast with Berny Yang and Lydia Li, two top China representatives for famed Napa Valley winery Robert Mondavi. The conversation was far-ranging, but there were three insightful takeaways we want to share about what makes a brand and product successful in China. Content matters. Discussions about Mondavi opening a Tmall flagship store initially ran for over six months, Yang told Alizila, but when the store launched, the U.S. brand was determined to take Tmall’s advice and do more than just sell product. 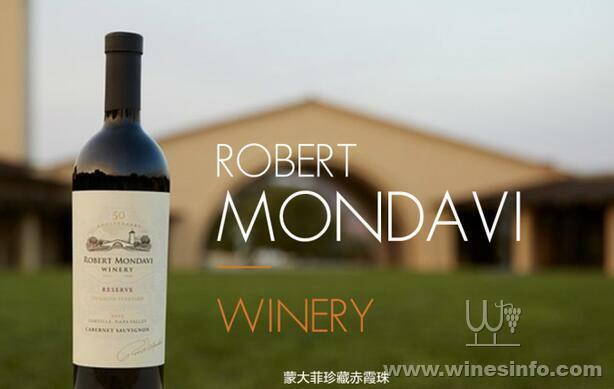 It also sought to inform Chinese consumers about who Robert Mondavi was and what he stood for. To get would-be customers to connect with the brand, content was key. A nearly four-minute video on the flagship store’s homepage provides history, background, context and images of the founder and his company, as well as sights and sounds from around his vineyard. An added benefit, Yang said, is that the Mondavi winery greets over 50,000 Chinese visitors a year—many of them undoubtedly attracted by brand recognition and informative Tmall content. Localize, localize, localize. Perhaps one of the most challenging things for a wine brand is to explain to its customers how its products taste. One U.S. wine taster last year described Mondavi wines as having “cassis, blackberry and savory herb notes and structure, density and freshness.” For a Chinese consumer who may have never tasted either cassis or a blackberry, that description means very little. Substitute the Chinese words for “lychee” and “a touch of coffee and chocolate,” and suddenly, you’re in business. Knowing how to localize descriptions, developing a working lexicon that’s meaningful to the Chinese palate, is the difference between blank stares and a purchase from customers who understand and are enticed by what they’re buying. Descriptions of wines in Mondavi’s Tmall store also include basic pairings, such as a description of a 2011 Twin Oaks Cabernet Sauvignon, which notes it goes well with beef, duck and lamb, and Tmall customer service can help answer even more detailed pairing questions. Parse Big Data. Yang said that when Tmall initially approached about having Mondavi open a Tmall flagship store, “I had a perception. I said, ‘e-commerce, would it be just for entry-level, cheap product? Will the price structure on our e-commerce affect the structure offline? Will my offline distributor be affected by aggressive e-commerce?’” Instead, he and Li said that what Mondavi found was that data provided by Tmall—if analyzed and acted upon—provided detailed demographics and enabled the brand to target customers at multiple price points and segment its market. Indeed, Mondavi sells wines from its different labels from prices starting at RMB 89 all the way up to nearly RMB 3,000. A tiered approach has served Mondavi well, Yang said.